MrBaconpants is a blog about bacon, beer, and everything else that we find interesting. It is also the home of Bacon LIVE, the only internet show about bacon. Jason Mosley has been a bacon lover since conception. 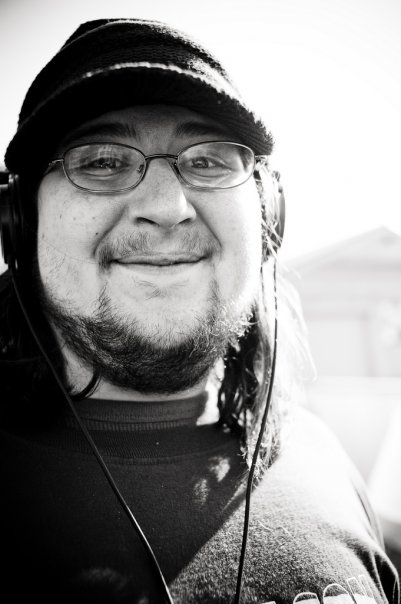 He currently lives in Pittsburgh, PA and is a freelance designer and blogger. He started this blog in 2004 to share his love of bacon with family and friends. He tries to make his blog one of the more entertaining personal blogs on the internet. Not only does he write about all things bacon, he also writes honest reviews of beer and indie rock bands. 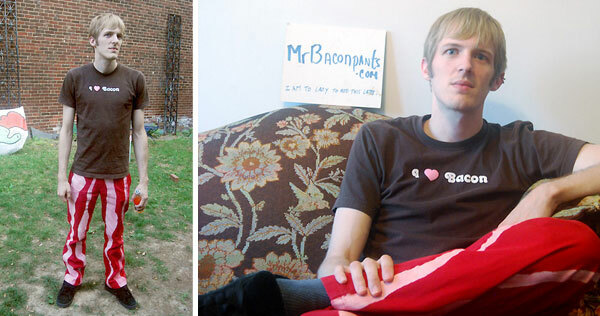 After a few years, his once personal blog turned in to what it is today, the source of all bacon in the internet. Sean Brett is the amazing co-host of Bacon Live, the weekly audio/video podcast about bacon and more. He enjoys eating everything bacon and even claims to eat more bacon than Mr. Baconpants himself. Little is known about what Sean does when he is not creating sizzling content for this blog. Somethings are better left unknown. 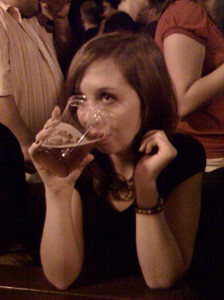 Beth Mosley is a lover of good food and beer. She enjoys cooking and trying new recipes (with bacon). She has been on many bacon adventures with Mr. Baconpants and has been even called Mrs. Baconpants on more than a few occasions.